It can be difficult to think about your dental health when you’re sick, but it’s important to remember that, even if you’re sick, you need to continue keeping your mouth healthy. 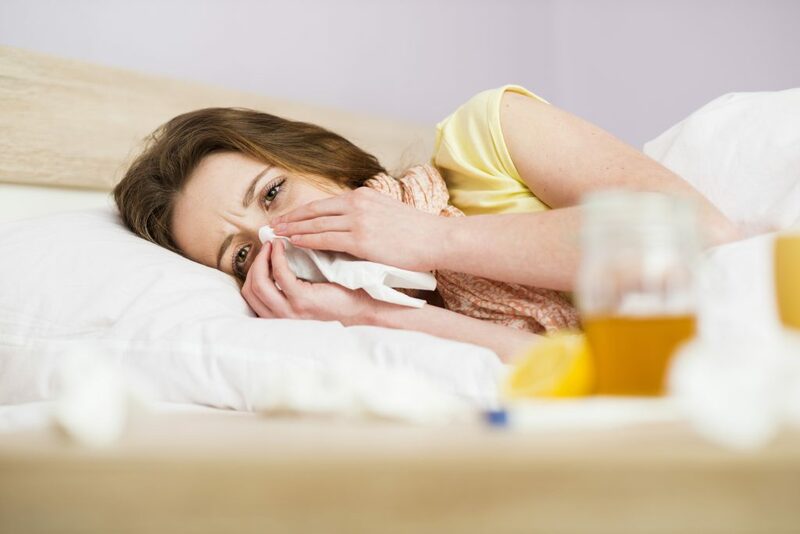 Here are a couple things to keep in mind the next time you feel under the weather. It’s important to buy sugar-free cough drops. Since cough drops are meant to stay in your mouth for long periods of time, the sugar also stays in your mouth longer. Dry mouth may be a side-effect of medicine. If this is the case for you, you’ll need to make sure you are drinking plenty of water. Saliva helps wash away harmful bacteria, so, if your medicine is causing your mouth to dry out, be sure to drink water to keep harmful bacteria from attacking your teeth and gums. Flu germs can live on surfaces for up to 72 hours. Although the chances of catching the flu from using your toothbrush are small, if you want to be extra careful you may want to get a new toothbrush when you’re feeling better. Besides at-home care, scheduling routine visits to the dentist is one of the best ways to keep your mouth healthy and detect any signs of dental health issues. If you are due for a cleaning or have any questions, be sure to schedule an appointment with Dr. Van Treese.